December proved to be the greatest time for communities to held end-of-year gatherings. 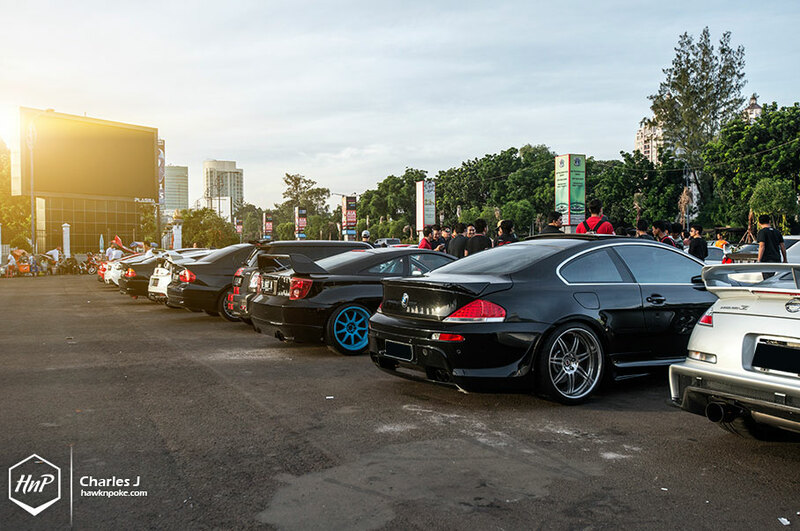 While most people were on vacations, car lovers got the opportunity to enjoy a less-congested Jakarta. 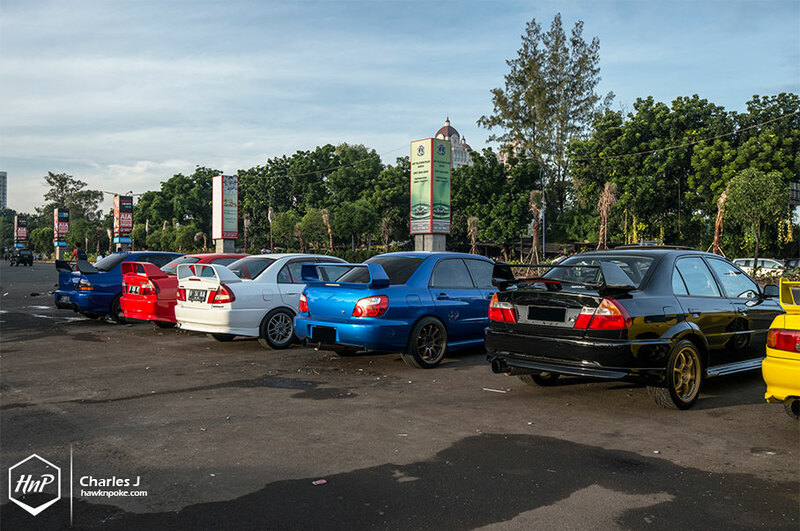 Just couple of weeks ago we joined the JDM.RUN December cruise, and today I present to you an even larger morning run arranged by Sportscar Community. 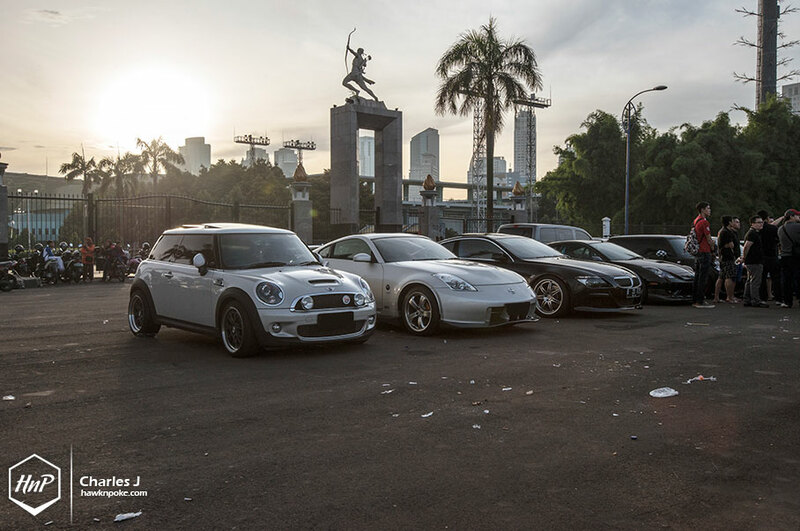 Held on December 29th with Panahan Senayan being the meeting point, the run was also participated by the JDM.RUN crew and some MOCI members towards the end of the meet. Sportscar Community members’ rides varied quite greatly. 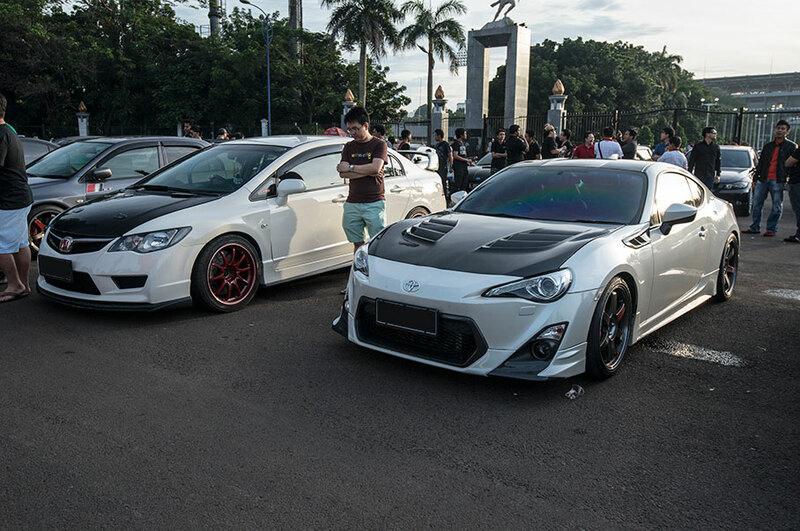 From 6 Series to Riph’s very own aggressively lowered Celica. 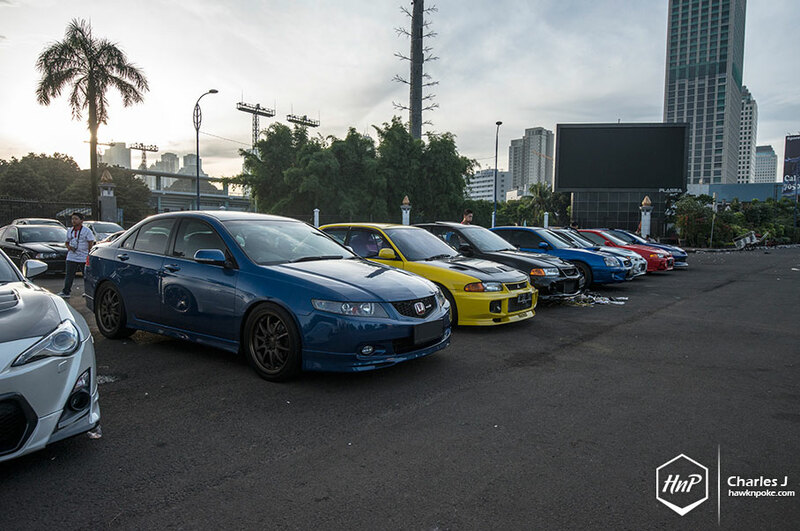 On the other hand, the JDM.RUN crew mostly relied on timeless Japanese performance rides as their weapons of choice. Can’t stop staring at those gorgeous Volk Racing wheels! Function and performance at its finest. Accord Euro along with some rarer older generation Evo’s. 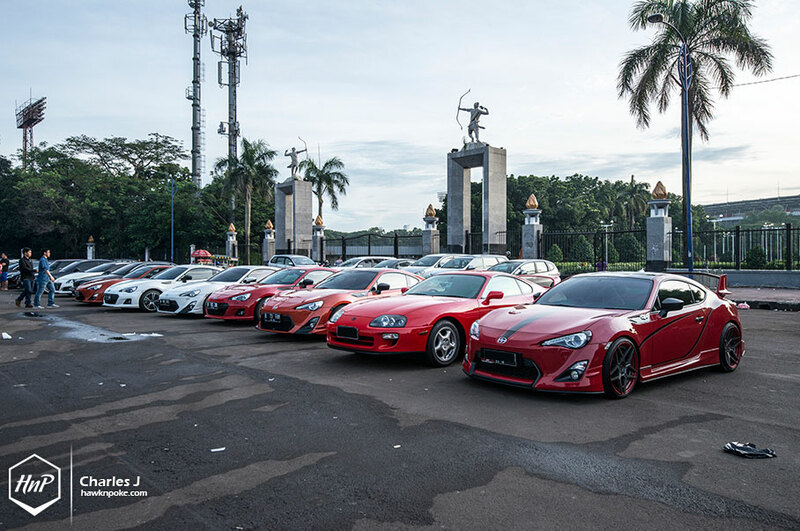 The Supra surrounded by its more aggressive-looking younger siblings. Interesting to see how much such sportscar designs have changed throughout the years. We are seeing more and more of aggressive lines these days. The must-do briefing before the cruise. Considering the sheer number of cars joining the run that day, safety should definitely come first. I really think that huge rear wings will be gaining back popularity in 2014. Mostly thanks to LB Performance works and RWB’s. Frank’s Evo is a prime example of huge-wing-done-right. Unfortunately Charles couldn’t join the cruise until its final destination at PIK, where MOCI members have been waiting. But we’ll surely come back with more community gatherings next time!